Leibold, M.A., M.C. Urban, L. De Meester, C.A. Klausmeier, and J. Vanoverbeke. 2019. Regional neutrality evolves through local adaptive niche evolution. Proceedings of the National Academy of Sciences of the United States of America. 116: 2612 – 2617. De Meester, L., K.I. Brans, L. Govaert, C. Souffreau, S. Mukherjee, H. Vanvelk, K. Korzeniowski, L. Kilsdonk, E. Decaestecker, R. Stoks, and M.C. Urban. 2019. Analysing ecoevolutionary dynamics – The challenging complexity of the real world. Functional Ecology. 33: 43 – 59. Urban, M.C. 2018. Escalator to extinction. PNAS. 115:11871-11873. Urban, M. C. and R. Roehm. 2018. The road to higher permanence and biodiversity in exurban wetlands. Oecologia. 186:291-302. Amburgey, S. M., D. A. Miller, E. H. Campbell Grant, T. A. Rittenhouse, M. F. Benard, J. L. Richardson, M. C. Urban, W. Hughson, A. B. Brand, and C. J. Davis. Range position and climate sensitivity: The structure of among-population demographic responses to climatic variation. Global Change Biology. 24:439-454. Nadeau, C. P., M. C. Urban, and J. R. Bridle. 2017. Climates past, present, and yet-to-come shape climate change vulnerabilities. Trends in Ecology & Evolution. 32:786-800. Urban, M. C., P. L. Zarnetske and D. K. Skelly. 2017. Searching for Biotic Multipliers of Climate Change. Integrative and Comparative Biology 57:134–147. Urban, M. C. J. L. Richardson, N. A. Freidenfelds, D. L. Drake, J. F. Fischer, and P. P. Saunders. 2017. Microgeographic adaptation of Wood Frog tadpoles to an apex predator. Copeia 105(3):451-461. Urban, M. C., G. Bocedi, A. P. Hendry, J.-B. Mihoub , G. Pe’er , A. Singer, J. R. Bridle, L. G. Crozier, L. De Meester, W. Godsoe, A. Gonzalez, J. J. Hellmann, R. D. Holt, A. Huth, K. Johst, C. B. Krug , P. W. Leadley , S. C. F. Palmer, J. H. Pantel, A. Schmitz, P. A. Zollner, J. M. J. Travis. 2016. Improving the forecast for biodiversity under climate change. Science 353 (6304). Davies, T. J., M. C. Urban, B. Rayfield, M. W. Cadotte and P. R. Peres-Neto. 2016. Deconstructing the relationship between phylogenetic diversity and ecology: a case study on ecosystem functioning. Ecology. 97:2212-2222. De Meester, L., J. Vanoverbeke, L. J. Kilsdonk, and M. C. Urban. 2016. Evolving perspectives on monopolization and priority effects. Trends in Ecology and Evolution: 31: 136–146. Vanoverbeke, J., M. C. Urban, and L. De Meester. 2016. Community assembly is a race between immigration and adaptation: eco-evolutionary interactions across spatial scales. Ecography 38 doi: 10.1111/ecog.01394. Urban, M. C. 2015. Accelerating extinction risk from climate change. Science. 348 (6234):571-573. Urban, M. C. and J. L. Richardson. 2015. The Evolution of foraging rate across local and geographic gradients in predation risk and competition. The American Naturalist. Henriques-Silva, R., F. Boivin, V. Calcagno, M. C. Urban, and P. R. Peres-Neto. 2015. On the evolution of dispersal via heterogeneity in spatial connectivity. Proceedings of the Royal Society of London B. 282:20142879. Cunningham, H. R., L. J. Rissler , L. B. Buckley, and M. C. Urban. 2015. Abiotic and biotic constraints across reptile and amphibian ranges Ecography. 38: 001–008. Urban, M. C., L. A. Lewis, K. Fucikova, and A. Cordone. 2015. 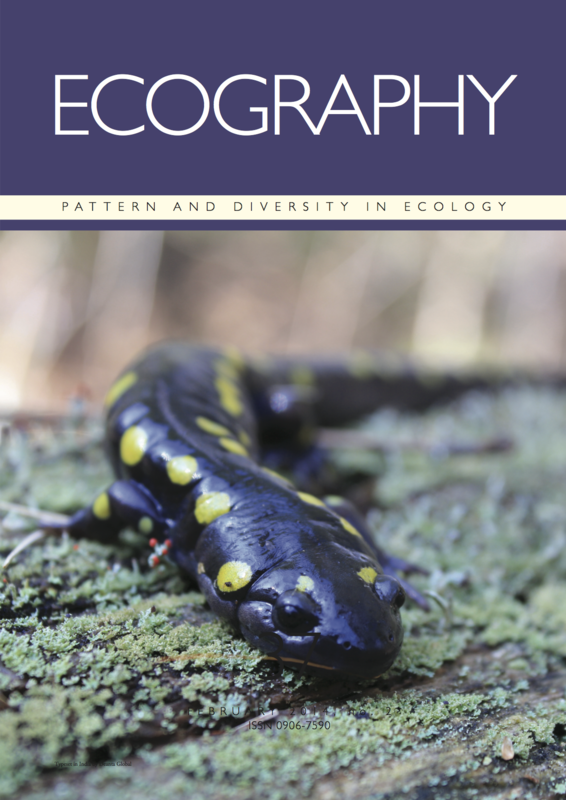 Population of origin and environment interact to determine oomycete infections in spotted salamander populations. Oikos. 124: 274-284. Richardson, J. L., M. C. Urban, D. I. Bolnick, and D. K. Skelly. 2014. Microgeographic adaptation and the spatial scale of evolution. Trends in Ecology & Evolution. 29(3): 165-176. Urban, M. C., J. L. Richardson, and N. A. Freidenfelds. 2014. Plasticity and genetic adaptation mediate amphibian and reptile responses to climate change. Evolutionary Applications. 7: 88-103. Herstoff, E., and M. C. Urban. 2014. Will pre-adaptation buffer the impacts of climate change on novel species interactions? Ecography. 37: 111-119. Jones, C. S., and M. C. Urban. 2013. Promise and pitfalls of a gender-blind faculty search. BioScience 63(8): 611-612. Richardson, J. L., and M. C. Urban. 2013. Strong selection barriers explain microgeographic adaptation in wild salamander populations. Evolution. 67(6): 1729-1740. Urban, M. C., P. L. Zarnetske, and D. K. Skelly. 2013. Moving forward: dispersal and species interactions determine biotic responses to climate change. Annals of the New York Academy of Sciences. 1297: 44-60. Urban, M. C., R. Bürger, and D.I. Bolnick. 2013. Asymmetric selection and the evolution of extraordinary defences. Nature Communications. 4, Article number: 2085. Urban, M. C. 2013. Evolution mediates the effects of apex predation on aquatic food webs. Proceedings of the Royal Society B. 280: 20130859. Norberg, J., M. C. Urban, M. Vellend, C. A. Klausmeier, and N. Loeuille. 2012. Eco-evolutionary responses of biodiversity to climate change. Nature Climate Change. Urban, M. C., L. De Meester, M. Vellend, R. Stoks, and J. Vanoverbeke. 2012. A crucial step toward realism: responses to climate change from an evolving metacommunity perspective. Evolutionary Applications 5: 154–167. Zarnetske, P. L., D. K. Skelly, and M. C. Urban. 2012. Biotic multipliers of climate change. Science. 336:1516-1518. Urban, M. C., J. J. Tewksbury, and K. S. Sheldon. 2012. On a collision course: competition and dispersal differences create no-analogue communities and cause extinctions during climate change. Proceedings of the Royal Society B 279: 2072-2080. Urban, M. C. 2011. The evolution of species interactions across natural landscapes. Ecology Letters. 14: 723-732. Urban, M. C., Gilman, S. E., J. Tewksbury, and R. D. Holt. 2011. Heating up relations between cold fish : competition modifies responses to climate change. 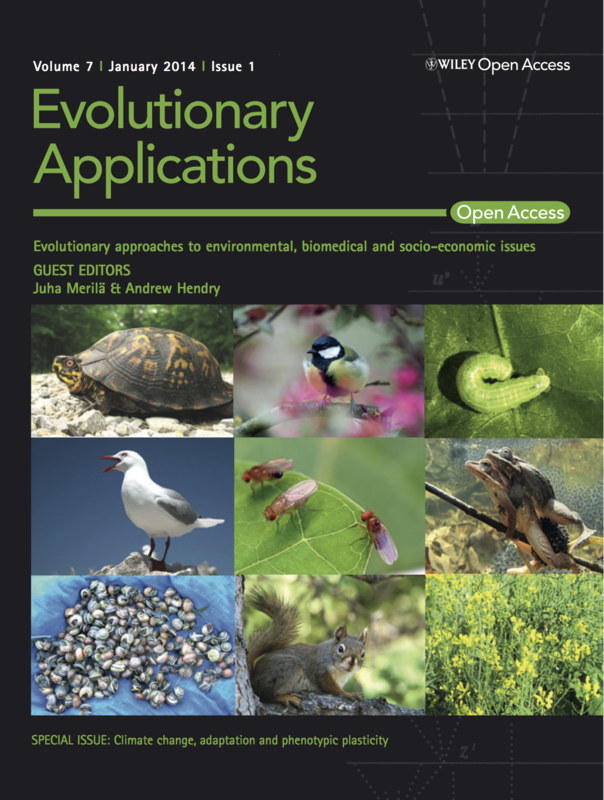 Journal of Animal Ecology. 80: 505-507. Bolnick, D. I., P. Amarasekare, M. S. Araujo, R. Burger, J. M. Levine, M. Novak, V. H. W. Rudolf, S. J. Schreiber, M. C. Urban, and D. A. Vasseur. 2011. Why intraspecific variation matters in community ecology. Trends in Ecology & Evolution. 26(4): 183-192. Gilman, S. E., M. C. Urban, J. Tewksbury, G. W. Gilchrist, & R. D. Holt. 2010. A framework for community interactions under climate change. Trends in Ecology & Evolution. 25(6): 325-331. Buckley, L. B., M. C. Urban, M. J. Angilletta, L. Crozier, L. J. Rissler, & M. W. Sears. 2010. Contrasting correlative and mechanistic models of species ranges : putting concepts into practice. Ecology Letters. 13: 1041-1054. Urban, M. C. 2010. Microgeographic adaptation of larval salamander morphologies across landscape gradients in two predation threats. Oikos. 119(4): 646-658. Urban, M. C., & L. De Meester. 2009. Community monopolization: local adaptation enhances priority effects in an evolving metacommunity. Proceedings of the Royal Society B. 276: 4129-4138. Urban, M. C. 2008. Salamander evolution across a latitudinal cline in gape-limited predation risk. Oikos. 117: 1037-1049. Urban, M. C. et al. 2008. The evolutionary ecology of metacommunities. Trends in Ecology & Evolution. 23(6): 311-317. Urban, M. C., B. L. Phillips, D. K. Skelly, and R. Shine. 2008. The toad more traveled: the heterogeneous invasion dynamics of cane toads in Australia. American Naturalist. 171(3): E134-E148. Urban, M. C. 2008. The evolution of prey body size reaction norms in diverse communities. Journal of Animal Ecology. 77: 346-355. Urban, M. C. 2008. Ecological Genetics. In: Encyclopedia of Life Sciences. John Wiley and Sons, Ltd, Chichester. Urban, M. C. 2007. Predator size and phenology shape prey survival in temporary ponds. Oecologia. 154: 571-580. Urban, M. C. 2007. Risky prey behavior evolves in risky habitats. Proceedings of the National Academy of Sciences of the USA. 104(36): 14377-14382. * Covered by Science News, National Geographic, The New Scientist, et al. Urban, M. C., B. L. Phillips, D. K. Skelly, and R. Shine. 2007. The cane toad’s (Chaunus [Bufo] marinus) increasing ability to invade Australia is revealed by a dynamically updated range model. Proceedings of the Royal Society B. 274: 1413-1419. * Covered by Nature News, BBC, Today Show Australia, et al. Urban, M. C. 2006. Maladaptation and mass-effects in a metacommunity: consequences for species coexistence. American Naturalist. 168(1): 28-40. Urban, M. C. and D. K. Skelly. 2006. Evolving metacommunities: Toward an evolutionary perspective on metacommunities. Ecology. 87(7): 1616-1626. Urban, M. C. 2006. Road facilitation of trematode infections in snails of northern Alaska. Conservation Biology. 20(4): 1143:1149. Urban, M. C., D. K. Skelly, D. Burchsted, W. Price, S. Lowry. 2006. Stream communities across a rural-urban landscape gradient. Diversity and Distributions. 12:337-350. Urban, M. C. 2006. Conservation beyond community (Book Review). Conservation Biology. 20: 1330. Skelly, D. K., M. A. Halverson, L. K. Freidenburg, and M. C. Urban. 2005. Canopy closure and amphibian biodiversity in forested wetlands. Wetlands Ecology & Management. 13:261-268. Urban, M. C. 2004. Disturbance heterogeneity determines freshwater metacommunity structure. Ecology. 85(11): 2971-2978.